I've soldered a featherwing on my feather, then unsoldered it because it had stopped working: after the soldering of the featherwing, I was unable to upload new software to the board. But now that the featherwing was removed, I still can't upload a software onto the board. System wide configuration file is "~/.arduino15/packages/arduino/tools/avrdude/6.3.0-arduino9/etc/avrdude.conf"
User configuration file is "~/.avrduderc"
I used to have this error from time to time before, but I always was able to make it work, either by using another USB port, choosing the right port for the arduino or rebooting Linux, but now nothing I do works. So, I think I might have broken the board because of the soldering/unsoldering. I attached the pictures of both sides of the board. Three LEDs continue to blink: the red one when I connect the board to the USB, the battery one and the RX one when there is an attempt at transmission. Can you tell me whether the board looks damage? It looks like you have soldering paste all over the circuit board. If enough paste bridges a gap between the ceramic resonator and the IC, it can attenuate the oscillator signal to the point where the board won't work. I use an old tooth brush and Isopropyl alcohol to clean excess soldering paste. As the alcohol evaporates, a lot of moisture forms on the circuit board, so it's important to ensure it's completely dry before you power it up. Try cleaning the circuit board and see if that fixes the problem. I would like to show you how much soldering paste it takes to stop a 328P from working. The following image shows the bottom of a perfboard with 0.1" hole spacing. You can see the soldering paste bridging the gap between pins 8, 9, and 10 of a Atmega328P DIP IC. 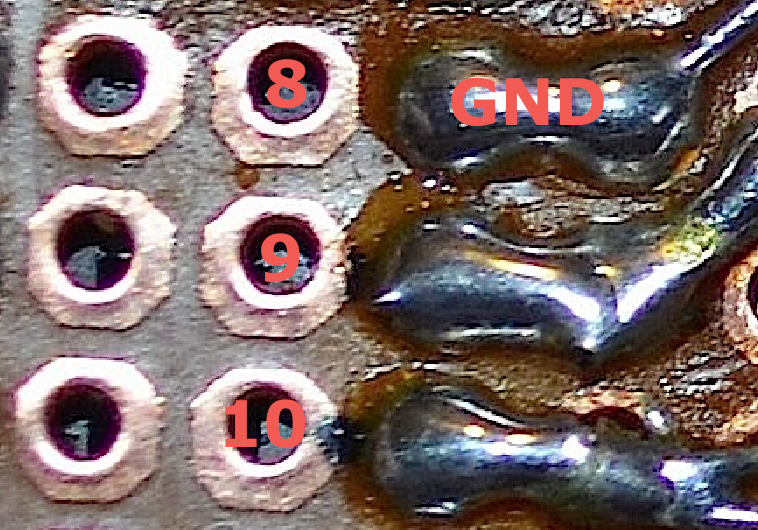 Pin 8 is ground, and pins 9 and 10 are connected to the crystal / capacitors. All three pins are connected together via the paste, and since I forgot to clean the board before "final assembly", it's possible other pins are connected together via the paste. Cleaning the board with Isopropyl alcohol fixed the problem, and the clock has been running for the past 6 months without issue. 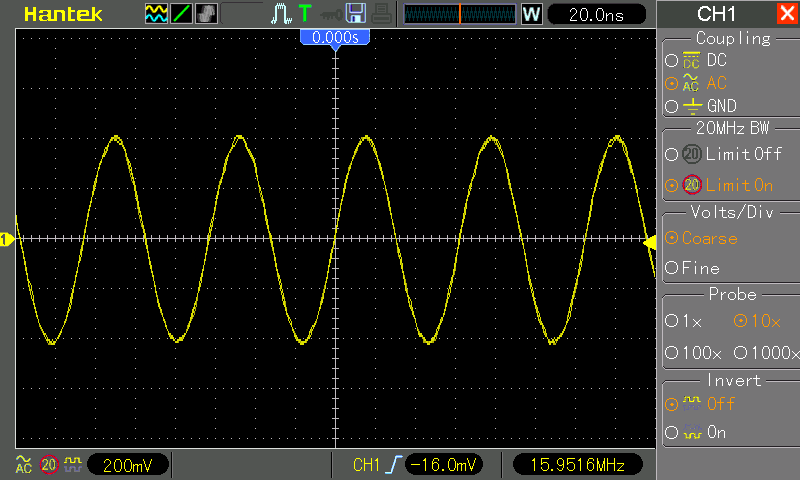 When I monitor pin 9 of a 328P on a 5V Arduino Uno, this is the waveform I see. You can see the small amount of voltage change the oscillator has to make for the 328P to sense it, and function correctly (800mV peak to peak). If the soldering paste is conductive, capacitive or perhaps both, connecting this signal through the paste to ground, power or several other pins can disrupt the signal to the point where the IC fails to operate. There is flux on the board and that is not going to cause the problems you are seeing. At worst the flux may have an affect on the ability to get a proper lock at 2.5GHz, and that is unlikely. Clean the board and use magnification to look for damage to the copper foil on the board and inside the plated holes. That will most likely be the problem. This was from a question regarding no-clean fluxes but the information also applies to the use of regular flux as well. Most electronics are not cleaned after soldering. The company I work for went to a no clean process 20 years ago. Not the answer you're looking for? Browse other questions tagged adafruit or ask your own question. 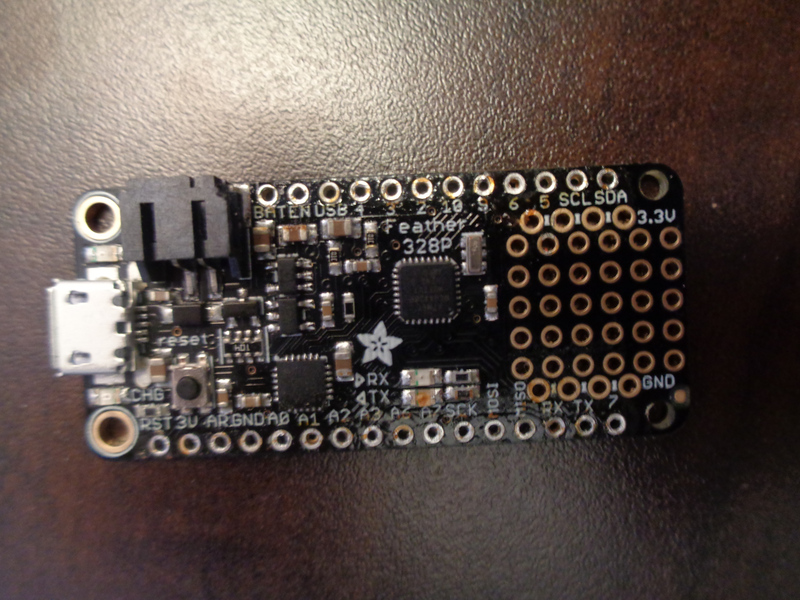 Sparkfun Red board and CC3000 shield not allowing multiple HTTP_GET requests. 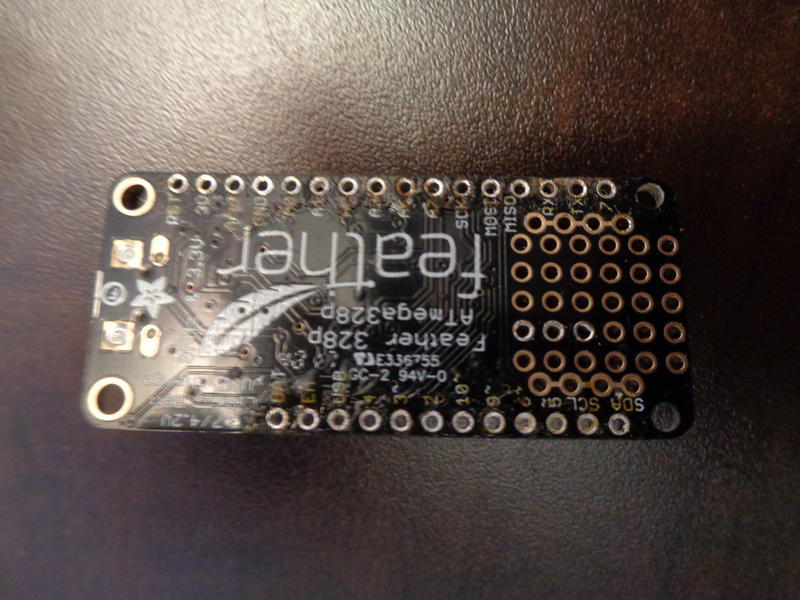 Soldering headers screwed up Trinket? How do I output tone() and audioFX board output through a single speaker?